In the mending of the broken and the healing of the sick, Ilan Fellus sees the profound beauty of a career in medicine. Ilan Fellus is currently doing his residency in Family Medicine. 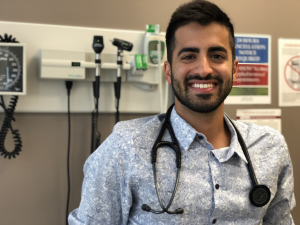 Family and emergency medicine are of special interest to him, and he hopes to have a family practice and work in the emergency department a few shifts a week.